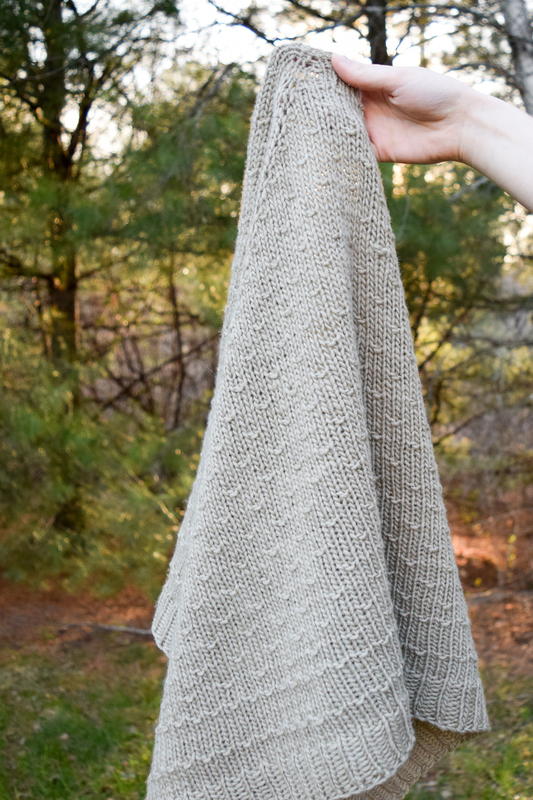 In pretty much every "Friday Favorites" post I've ever made, I include the shawl pattern I am in love with that week. 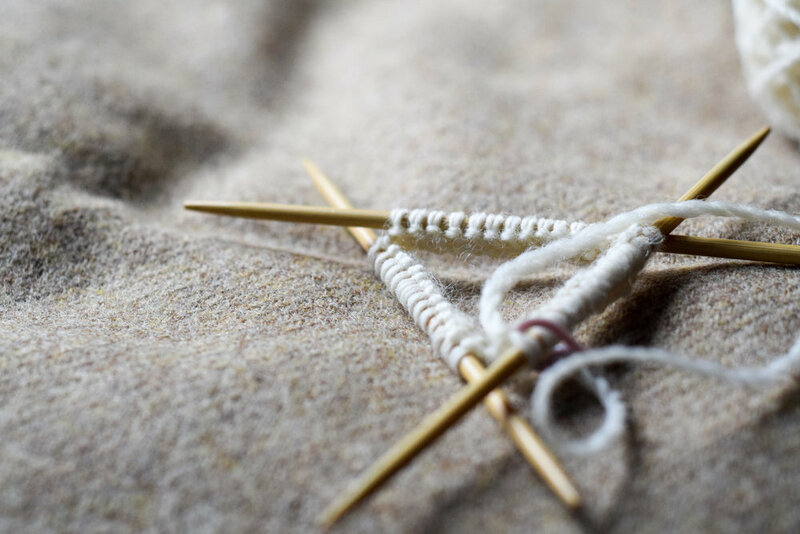 This isn't so unusual; lots of people have been knitting and designing shawls recently, so there are a plethora of wonderful patterns out there. Shawl constructions vary widely; there are so many different ways to incorporate shape, texture, and color in a shawl. 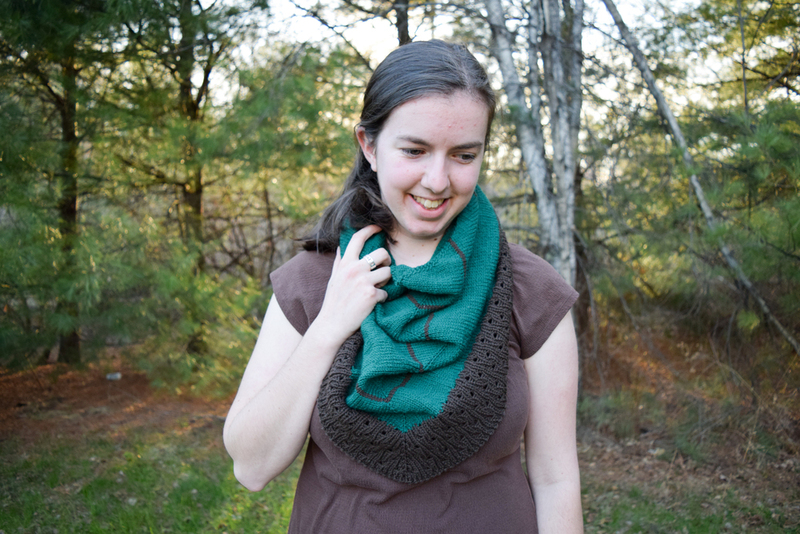 So I've had many love affairs with shawl patterns, but I had never actually knit one. Scarves, yes; cowls, yes; shawls, no. Until last month. There was a shawl knit-along in the Plum Dandi Ravelry group (a group for fans of Alicia Plummer and Dandilion Girl's designs), and it was the final push I needed to buy some yarn, pick up my needles, and cast on a shawl. The thing was, once I started, I couldn't stop. I whipped out a Covered Shawl, and since it's knit in worsted weight it knitted up so quickly (project notes here). I then promptly cast on a Paperwhite Shawl (side note: this was also my first time using Quince & Co. yarn and I am in love. I know, I know, it's taken me forever to jump on the bandwagon and use their yarns, but I am so glad I did. See my project notes here.). I have dubbed this my "Anne of Green Gables" shawl because this color combination never fails to remind me of the cover of my edition of that book. It's been such a long time since I knit just a good old plain vanilla sock. It's also been a long time since I knit with yarn that had more than one color in it. So, the beginning of May seemed like a perfect time to cast on some socks. I think I'm gradually becoming a toe-up sock knitter; I've been enjoying it so much more than I thought I would when I first cast on a toe-up sock. I feel as if it is easier to adapt things, like the heel and what stitch pattern I want to use. After taking this photo yesterday, I have since knit the foot and turned the heel. I had forgotten how quickly plain stockinette stitch knits up. This week, I've also started reading The Kitchen House. This story is so gripping. It shows so much about human nature. Yes, it is about the relationships between whites and blacks during the pre-Civil War era, but it's about so much more than that. I'm only about halfway through, but I've been reading only this book since I started, and usually I switch back and forth between books, like I do knitting projects. What about you? 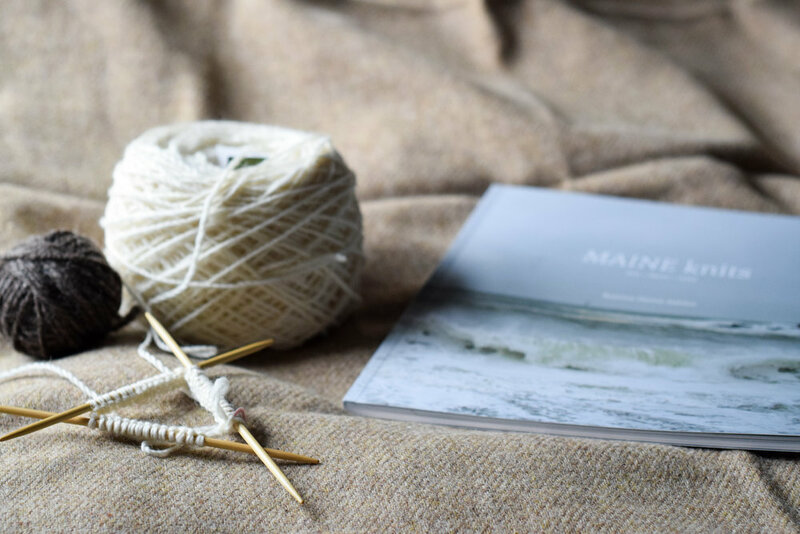 Are you a monogamist or a polygamist when it comes to books and knitting? Apparently I've had a thing for hats lately. First up is the Fresh Mint hat by Alicia Plummer. A few months ago I won a skein of hand dyed yarn from Buckaloo View that was missing its label. 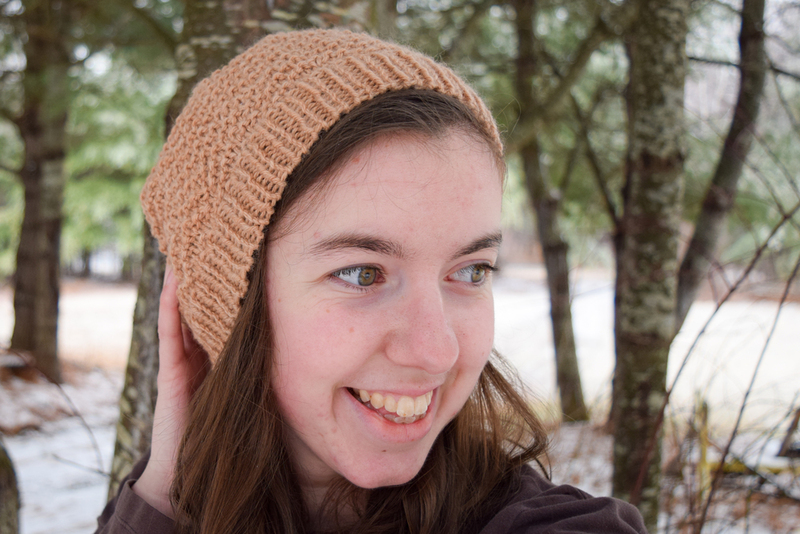 I figured a hat would be a good project since I wasn't sure of the exact yardage. The yarn is beautiful, and the pattern was so fun! I think the yarn was a bit heavier than the pattern called for, so I had to go down a needle size and still ended up with a slightly larger hat. But you can read my project notes for more details. You can also read the interview I did with Liesl, the owner of Buckaloo View, here. Remember me gushing about the hand spun yarn I bought from Goodstitch Fibers? (you can also read the interview I did with Abby here). Well, I finally decided on a pattern. Another hat. I cast on a while ago, but just recently got around to blocking. The yarn softened up a bit after blocking, but it still has a rustic, sheepy feel. If you're into that sort of yarn, I highly recommend Abby's yarn. The hat is the Pinecone and Mulberry hat by Melody of Mandarine's. I love the garter stitch. Since this was knit in the round it meant purling every other round, but I used it as a chance to practice purling continental style. The stitch pattern section is a bit lost because of the colors in the yarn, but I am fine with that. I thought it would be too late in the season for such a warm hat, but I've already worn it a couple of times because Maine. The first time I wore this out while running errands. Even when I don't get comments while wearing handknit items, it still makes me so happy to wear something I have made, especially when I know who made the yarn. Again, you can read my project notes. I'm trying to be better at keeping notes to record my projects and any adjustments I made or what I thought about the pattern and yarn. Are you a hat person? 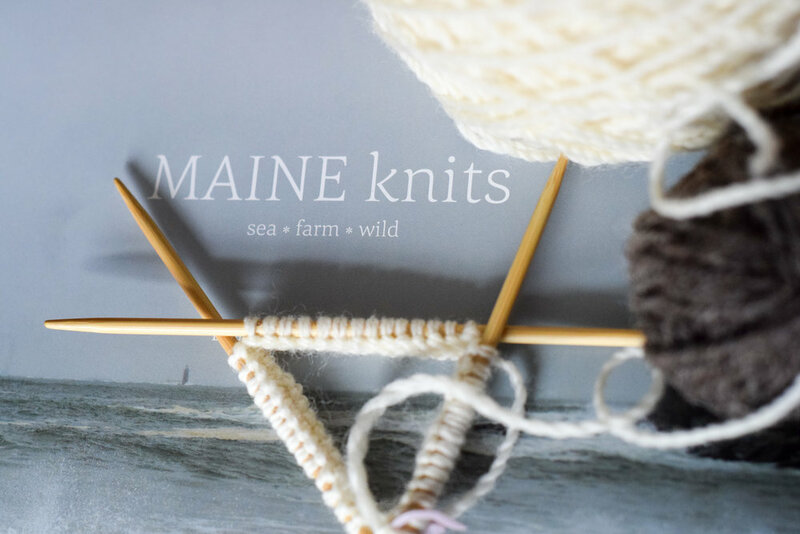 Leave a comment and let me know what you love to knit!